As Armistice Day and Remembrance Sunday approach, we look back at some of the most amazing war heroes of Liverpool. From young and brave privates to valiant men who received the Victoria Cross, we are proud to call these men our own. Taking place on the 11th and 12th of November, Armistice Day and Remembrance Sunday are days of reflection to honour those who gave their lives for our freedom. One of the most important events in the city’s calendar, each year, thousands head to St George’s Hall to reflect on those who made the ultimate sacrifice for us. Born in Toxteth, ‘Duggie’ Pomford was a Word War II Commando whose wartime exploits, and those of his squadron, were instrumental to the Allies victory in 1945. He was a founding member of the Special Boat Unit and a champion boxer, who was hand picked for elite service after only six months in the army. 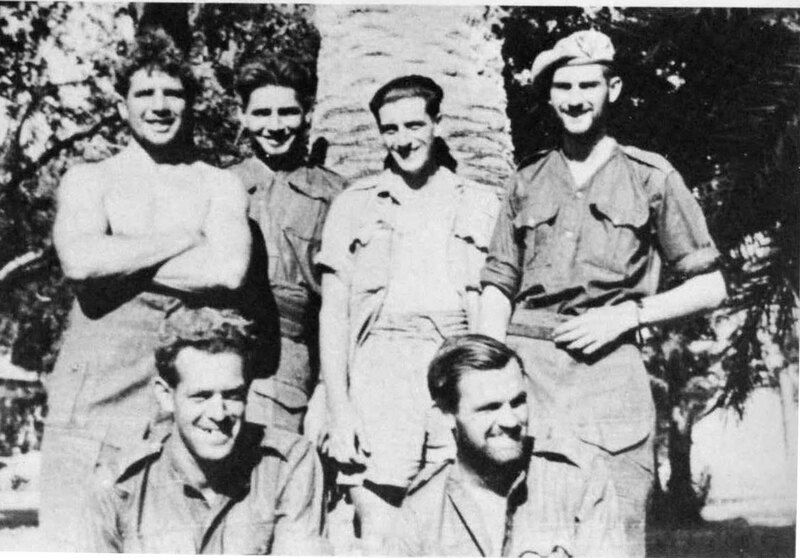 His platoon undertook the most dangerous of World War II missions, including stealth raids on Nazi camps, invasion of airfields in Greece and top secret assignments behind enemy lines. Even standing next to the highly decorated soldiers of his brand, Pomford stood out for his toughness and bravery. He was awarded two military medals for his exceptional achievements during the war. After World War II Duggie set up The ABC Golden Gloves Boxing Club in Toxteth which is still going strong today. 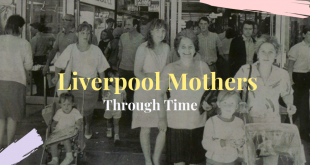 Duggie Pomford was a true Liverpool legend whose life affected the trajectory of history. John Thomas Davies was born in Birkenhead and won the Victoria Cross during World War I, when he was just 23 years old. The honour is the highest and most prestigious award for gallantry in the face of the enemy that can be awarded to British and Commonwealth forces. Davies was a corporal in the 11th Battalion, South Lancashire Regiment. He was stationed near Eppeville, France in March 1918 when his company were suddenly outflanked on both sides. Corporal Davies knew that the only line of withdrawal lay through a deep stream, lined with a belt of barbed wire. He knew he needed to hold the enemy off for as long as possible, so he leapt up to the parapet, fully exposed and began firing at the Germans. He held them back long enough for part of his company to retreat through the stream. The enemy suffered many casualties due to Davies alone. Following this show of bravery, he was taken prisoner but survived the war, spending most of his life on Alma Street, Peasley Cross and during World War II he was a captain in the Home Guard. He died aged 60 in 1955 and was buried in St. Helens Borough Cemetery, Lancashire, England. 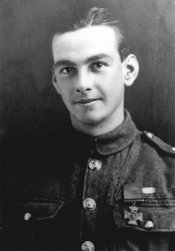 Born in Newton-Le-Willows, Norman Harvey was a Private in the 1st Battalion, The Royal Inniskilling Fusiliers. When he was just 19 years old, Harvey was awarded the Victoria Cross for his extraordinary bravery and devotion to duty near Ingoyghen. His battalion was held up and suffering heavy casualties from enemy machine guns. On his own initiative he rushed forward and engaged the enemy single-handedly, killing twenty of the enemy and capturing two guns. Later, when his company was checked by another enemy strong point, he again rushed forward alone and put the enemy to flight. Lastly, after dark, he voluntarily carried out an important reconnaissance and gained valuable information. Throughout that day, Harvey displayed the greatest valour and his several actions enabled the line to advance, saved many casualties, and inspired all. He also fought during the Second World War, where he was promoted to Company Quartermaster- Sergeant in April 1941. Sadly, he was killed in action when serving in Palestine in 1942, he is buried in Israel. He will always be remembered as one of the bravest and selfless war heroes of Liverpool who served in both the First and Second World Wars. Frederick William Hall was born in Ireland but lived on Ormskirk Street, St Helens from the age of six, before he emigrated to Canada in 1910. He was 30 years old, and a Company Sergeant-Major in the 8th Battalion, Canadian Expeditionary Force during the First World War when he performed a deed for which he was awarded the Victoria Cross. On the night of 24th April 1915 during the Second Battle of Ypres in Belgium, Hall discovered a number of men were missing. He began to hear the sounds of wounded men coming from the ridge above. Under the cover darkness, Hall crawled up to the top of the ridge to save the wounded men, dragging them down to safety throughout the night. As morning broke, men were still missing and so Hall, Cpl Payne and Pvt Rogerson crawled out toward the wounded in full daylight and under sustained and intense enemy fire. Payne and Rogerson were both wounded and so returned to the shelter, however Hall bravely stayed to rescue the remaining men. 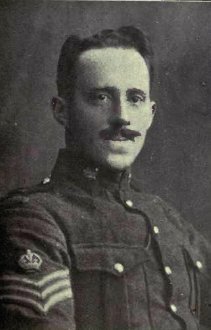 A wounded man that was lying some 15 yards from the trench was calling out for help, Company Sergeant-Major Hall endeavoured to reach him in the face of very heavy fire from the enemy. As he reached the wounded man and tried to lift him to safety, he was sadly mortally wounded in the head. The soldier he had attempted to help was also shot and killed. Hall’s name can be found on the Menin Gate Memorial to the Missing war memorial in Ypres, Belgium, honouring 56,000 troops from Britain, Australia, Canada and India whose final resting place in the Ypres salient is unknown. 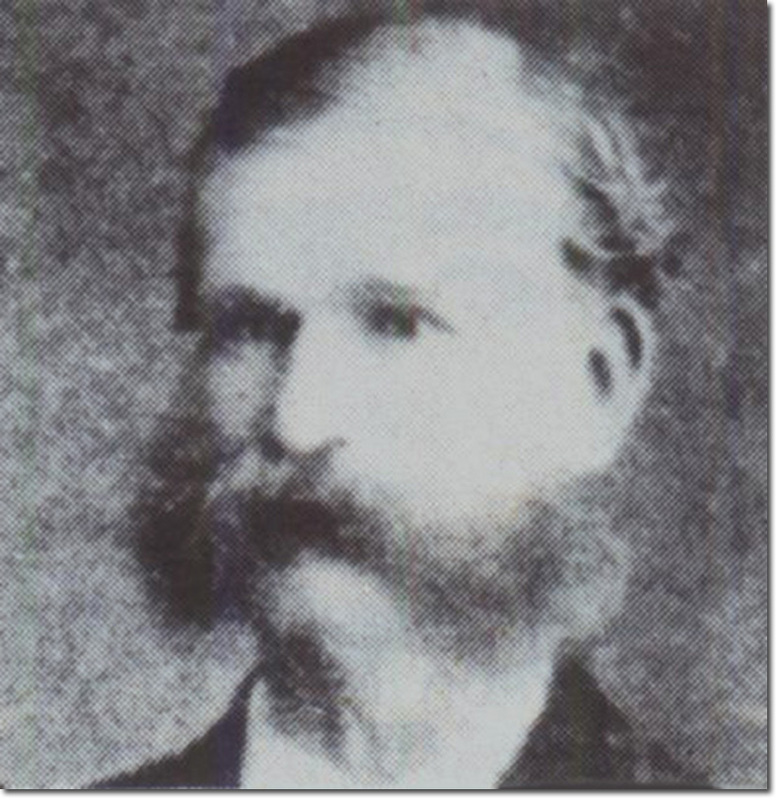 Charles Anderson was born in 1827 in Liverpool and enlisted with the 2nd Dragoon Guards in 1845. At the time of the Indian Mutiny, he and the other 2nd Dragoon Guards were heavily involved in the pursuit of the rebels in the latter stages of the rebellion. On 8th October 1858, at Sundelee, near Jamo, Oudh Province, Major Seymour led a group of 40 men from the Rifles into pursuing some rebels into a sugar-cane plantation. As they entered the crops, the group came under attack, one officer was killed and one severely wounded. 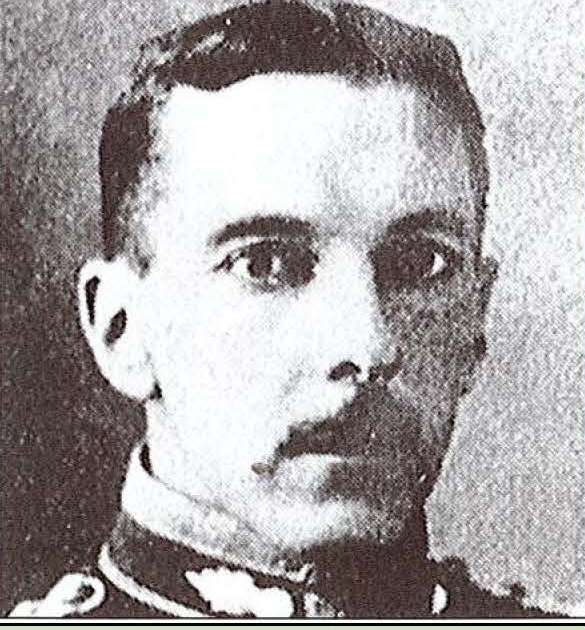 At this point, Major Seymour found himself desperately trying to fight off several assailants and would have been overwhelmed if it was not for the swift actions of Private Anderson and Trumpeter Thomas Monaghan, who fought off the attackers. Both men were awarded the Victoria Cross on 11th November 1862, and were presented with their medals on 5th January 1863 at Benares. Anderson continued to serve in the Army for nearly 45 years, before retiring as a corporal in 1870. Following his Army service, Anderson moved to the North East of England and became a coal miner. In a tragic accident on 19th April 1899, he slipped and fell from a cliff at Seaham Harbour, near Sunderland. He was buried in Princess Road Cemetery, Seaham. His medals are now held by the 1st Dragoon Guards Regimental Museum, Cardiff Castle. John Molyneux was born in St Helens on 22 November 1890. Young John, who was always known as Jack, was educated at Holy Trinity school in Parr. He left school at twelve to work in the mines. When he was 26 years old, Molyneux became a sergeant in the 2nd Battalion, The Royal Fusiliers, British Army during the First World War. On 9 October 1917 east of Langemarck, Belgium, during an attack which was held up by machine-gun fire and causing many casualties, Sergeant Molyneux organised a bombing party to clear the trench in front of a house. Many of the enemy were killed and a machine-gun captured. The sergeant then called for someone to follow him and rushed for the house. By the time the extra men arrived he was in the thick of a hand-to-hand fight which only lasted a short time and the enemy surrendered. In addition to the dead and wounded between 20 or 30 prisoners were taken. 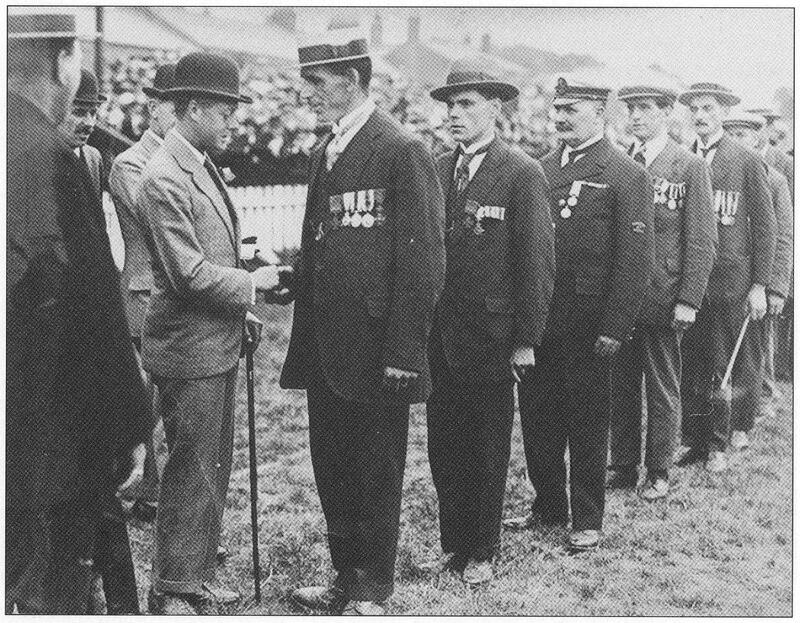 John Molyneux won the Croix de Guerre and the Victoria Cross, which is displayed at the Royal Fusiliers Museum, Tower of London, England. He lived until the age of 81, passing away at Ashtons Green Home in Parr in 1972. Born near Princes Park in Liverpool, Ernst Alexander was first commissioned in 1889 for two spells in India. He served until 1906, during which time he was promoted to Major. At the age of 43, as a major in the 119th Battery Royal Field Artillery, during the First World War, he was awarded the Victoria Cross for gallantry. In Elouges, Belgium on 24 August 1914, when the flank guard was attacked by a German corps, against overwhelming odds Alexander saved his remaining men. All of the guns were recovered, by hand, under ceaseless fire, plus wounded men. This enabled the retirement of the 5th Division to be carried out without serious loss. Alexander later reached the rank of Major General in the light of his military achievements. His medal group is on display at the Ashcroft Gallery in the Imperial War Museum, London. He has a headstone in Putney Vale Cemetery. 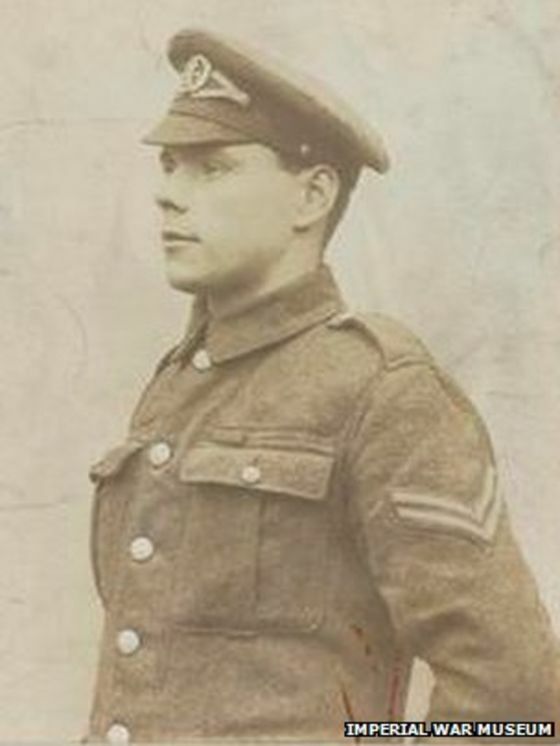 The only service man to be awarded with two Victoria Crosses, Chavasse was originally from Oxford but moved to Liverpool in 1900 when he was 16. After attending university, he returned to Liverpool in July 1909 to continue his studies and work his first placement at the city’s Royal Southern Hospital. By June 1913 Chavasse was commissioned as a lieutenant by the RAMC and attached to the 10th Battalion of the King’s Regiment. A doctor, Chavasse was awarded his first Victoria Cross in October 1916 for bravery in August that year at the Somme. 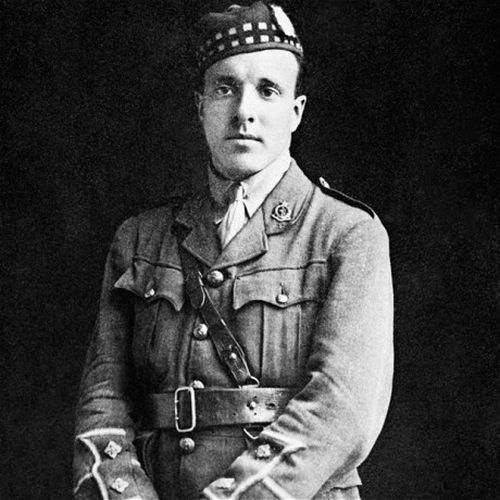 Under constant fire and despite being hit by a shell splinter, Chavasse rescued over 20 injured men trapped in no-man’s land, only yards away from the German trenches. His second Victoria Cross was awarded posthumously in September 1917 for gallantry at the Third Battle of Ypres. Between 31 July and 2 August 1917, although wounded himself, he continued to tend and treat his his men until his dug-out shelter was hit by a shell. This time he was fatally wounded and died on 4 August 1917 at the age of 32. 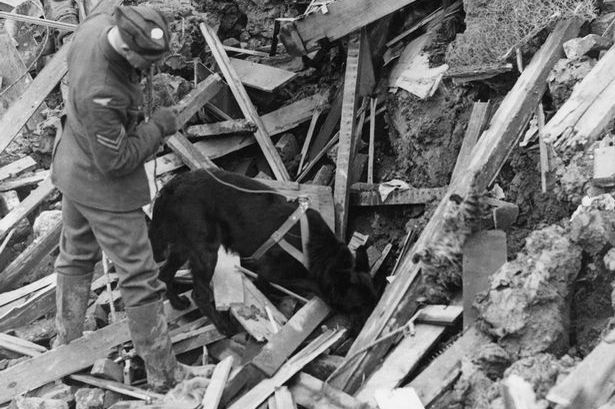 Born in Mossley Hill, Jet was a pedigree German Shepherd Dog who assisted in the rescue of 150 people trapped under destroyed buildings after the blitz. He trained at the War Dogs School in Gloucester from the age of nine months, where he learnt anti-sabotage work. Following eighteen months work on airfields performing anti-sabotage duties, he was returned to the school for further training in search and rescue duties where he was partnered with Corporal Wardle. They were relocated to London where Jet was called out every night until the end of the air attacks. Corporal Wardle and Jet were the first handler and dog to be used in an official capacity in Civil Defence rescue duties. Jet was awarded both the Dickin Medal on 12 January 1945 for saving the lives of over fifty people trapped in bombed buildings and the RSPCA’s Medallion of Valor for his rescue efforts. There is a memorial to Jet in the English flower garden of Calderstones Park, Liverpool near where he is buried. Led by the Lord Mayor, Cllr Malcolm Kennedy, the main service will take place at the Cenotaph on St George’s Plateau, while across the city region people will be taking part in dozens of Remembrance services. Members of the public are invited to join local dignitaries as the city remembers and honours those who have suffered or died in war. The programme of events will commence from 10.40am, which will include processions onto the Plateau from Military personnel and veterans. This will be supported by The Band of the Duke of Lancaster’s Regiment, singer Danielle Louise Thomas and St Edward’s College Senior Choir, with the Service officially starting at 10.55am. The Last Post will be played before a firing gun signals the start of the two minute silence across the city at 11.00am. Following the silence, wreaths will be laid at the Cenotaph and thousands of poppy petals will drop from the roof of St George’s Hall. In recognition of the role of horses, Joey, the life-size puppet, from the National Theatre production of War Horse will join the city’s civic and religious leaders along with military representatives to lay a wreath in memory of all those who have lost their lives during conflict. Prayers of Thanksgiving will be said by The Archbishop of Liverpool, The Most Reverend Malcolm McMahon OP, followed by a prayer offered in the Jewish tradition by Rabbi Dr Martin van den Bergh, representing the Merseyside Council of Faiths. The Service will conclude with a short parade and march past, after which individuals will be invited to lay their own wreaths.